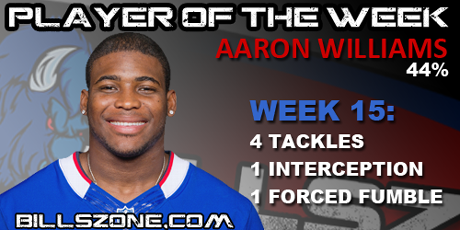 Aaron Williams is the Billszone Player of the Week for week 15. Williams edged out Robert Woods and Nickell Robey for the POW. Discuss this topic in our Fan Forum.